Christopher Wildeman, Associate Professor of Policy Analysis and Management in the College of Human Ecology at Cornell University, is an expert in the consequences of mass imprisonment for inequality, with emphasis on families, health and children. 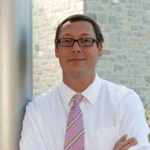 Wildeman is the co-director of the National Data Archive on Child Abuse and Neglect and a faculty fellow at the Bronfenbrenner Center for Translational Research, the Center for the Study of Inequality, Court-Kay-Bauer Hall and the Cornell Population Center. He is a Visiting Fellow at the Bureau of Justice Statistics and a Senior Researcher at the Rockwool Foundation Research Unit in Copehagen, Denmark. Previously, Wildeman was an Associate Professor of Sociology, a faculty fellow at the Center for Research on Inequalities and the Life Course and a faculty fellow at the Institution for Social and Policy Studies at Yale University, as well as the co-director of the New Haven Branch of the Scholars Strategy Network. He is the 2013 recipient of the Ruth Shonle Cavan Young Scholar Award from the American Society of Criminology. He has been published in numerous academic journals and co-authored, Children of the Prison Boom: Mass Incarceration and the Future of American Inequality. Wildeman received his Ph.D. and M.A. in Sociology and Demography from Princeton University and B.A. in Philosophy, Sociology and Spanish from Dickinson College.